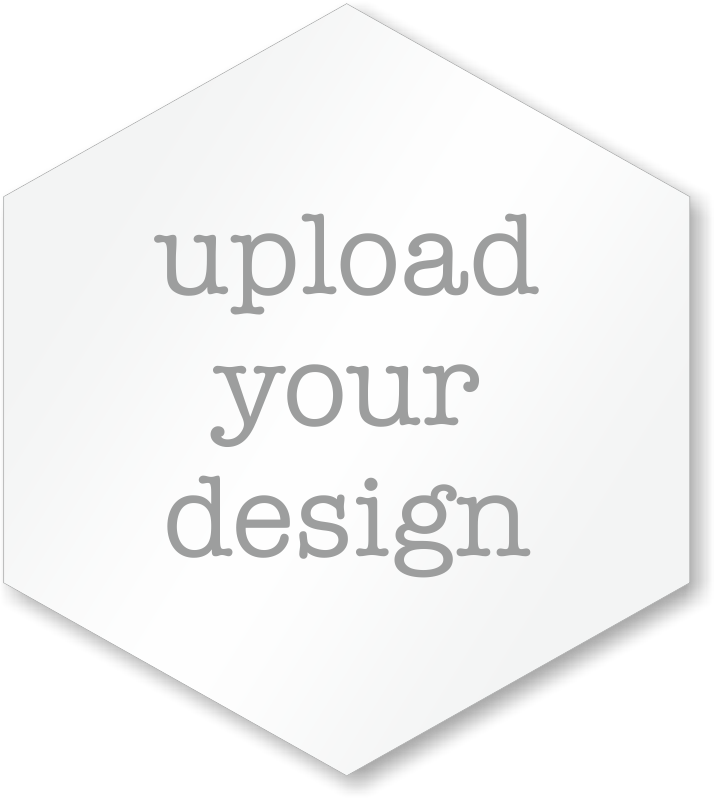 Upload your design to this hexagon parking permit decal template and create a fully customized permit program for your employees or tenants. Easy to remove without any residue. Made from a 3 mil thick vinyl. Clear Label does not hamper or obstruct driver visibility. Labels are digitally printed in high resolution. Logos are printed faithfully. All printed areas have a white tack coat to help achieve greater color intensity. Numbers have a white pad. Decals are durable for two years. Popular alternative to Static Cling. Better on slightly dirty windows and for application at cold temperatures than static cling. 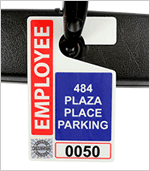 Made from 3.6 mil thick polyester, WindowCling parking permits are easily repositionable for up to 30 days. Labels can be cleanly removed after a year. Clear WindowCling does not hamper or obstruct driver visibility.Sticks on the inside of the window with the graphics facing outside. Labels are digitally printed in high resolution - great for logos and shading. A white print layer is applied at the back of the printed areas to achieve greater color vibrancy. Numbers have a white pad. 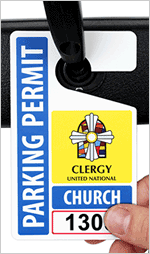 Static cling is the traditional material of choice for inside-the-window parking stickers. Clings onto glass without adhesive and without residue. One side of the label is polarized and has a static charge that enables it to "stick" or cling to glass using the moisture in the air and on the glass. Labels, however, are prone to freezing (in the worst case scenario, they can dry up and fall off from a lack of moisture in extreme climates). Apply labels at 55°F+. Easily move from one window to another. Printed digitally in full color. 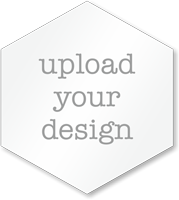 Show off your logo. Printed areas and number pad have a white back coat - for greater color intensity. Durable for over 2 years. Removable - without residue and without adhesive. One side of the label has a static charge that enables it to "stick" or cling to glass using the ambient moisture in the air and glass to adhere to the surface. Apply labels at a temperature of at least 55°F+. Static cling decals are not recommended for extreme cold environments (Minnesota, Alaska or ski resorts). Easily moveable from one window to another. Full color digital print - great for colorful or shaded logos. The white background makes your logo or text really stand out. Sticks to the inside of the window permanently – but easy to remove without any residue. Made of a 3 mil thick vinyl. Printed digitally in full color. Shading and color transitions common to many logos are generated smoothly and are reproduced accurately. Decals have a two year durability. Decals are used on the inside of the glass, facing out. 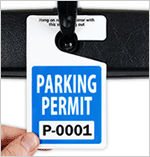 Made from 3.6 mil thick polyester, WindowCling parking permits are easily repositionable for up to 30 days. Move the decal until you get it exactly where you want it. The low tack adhesive will begin to set permanently after 30 days. Yet, after a year, these labels can still be removed cleanly with no adhesive residue. Printed in full color. The colors and shading of your logo will print faithfully. The white background of this decal material makes your logo really stand out. Use on the inside of a window with the graphics facing out. 3 mil white vinyl labels are laminated for maximum protection, durability and capacity. The 1 mil thick white tack laminate helps preserve the print - offering a high-level of UV protection while guarding against cleaning, moisture, humidity, oils and abrasions. The permanent acrylic face adhesive sticks to any clean surface and won't peel or curl. Permits easily withstand the high temperatures caused by the greenhouse effect within vehicles. Printed digitally in full color. Shading and color transitions are generated smoothly. The white background allows you to best show off your logo. This is our most opaque inside-the-glass label material. Made from destructible vinyl that is designed to break apart into pieces once it has fully adhered and removal is attempted. Labels feature a permanent adhesive preventing the permit from being reused. Once the permit is applied, it cannot be removed in one piece. Printed digitally in full color. Permits are non-transferable, and cannot be moved from car-to-car. Designed for exterior window applications, 3 mil thick clear vinyl labels are moisture, abrasion and tear resistant with outstanding durability. The permanent acrylic face adhesive sticks to any clean surface and won't peel or curl. Permits will not fall off during maintenance or cleaning, and withstand a range of temperatures. Labels are digitally printed in high resolution – great for detailed logos. Printed areas have a white backcoat – to enhance color vibrancy. Clear vinyl does not hamper or obstruct driver visibility. Designed for exterior window applications. Permanent acrylic adhesive sticks to any clean surface and won't peel or curl. Permits outlast cleaning, car washes and UV. They are durable for 2+ years. Good for tinted windows. Inside-the-glass decals are not as conspicuous as these outside-of-the-glass decals when applied to tinted windows. Labels are digitally printed in high resolution. The white background makes full-color print and logos truly stand out. Designed for exterior window applications, clear vinyl labels are laminated for increased protection and durability. The 1 mil thick laminate offers a high-level of UV protection while guarding against salt, car washes, oils, grease, cleaners, scratches from wear & tear. The permanent acrylic adhesive sticks to any clean surface. Labels are digitally printed in high resolution. Colored areas of the print have a white backcoat – to help enhance the vibrancy of the colored graphics. Another popular material. These labels are designed for exterior window applications. 3.2 mil white vinyl labels are laminated for maximum protection and durability.1 mil thick polyester laminate offers a high-level of UV protection while guarding against salt, car washes, oils, grease, cleaners, scratches from wear & tear, etc. Dirt and grime can be wiped clean from the smooth surface. The permanent acrylic back adhesive sticks to any clean surface. Printed digitally in full color. The white background enhances the look of your logo or graphic. Made from destructible polyester that is designed to break apart into tiny pieces once it has fully adhered and removal is attempted. 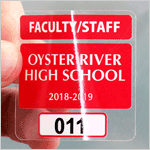 Holographic pattern provides extra security making these decals hard to counterfeit – and easy to authenticate. Polyester has a sparkle finish that refracts light into a rainbow pattern. Permanent decal cannot be removed in one piece or transfered to another. Aggressive, adhesive is suitable for windows and textured or curved rearview mirror casing and bumpers. Made from 3 mil destructible vinyl that is designed to break apart into tiny pieces once it has fully adhered and removal is attempted. Once the permit is applied, it cannot be removed in one piece. Due to the highly frangible (destructible) nature of the material, destructible labels can be tricky to apply.